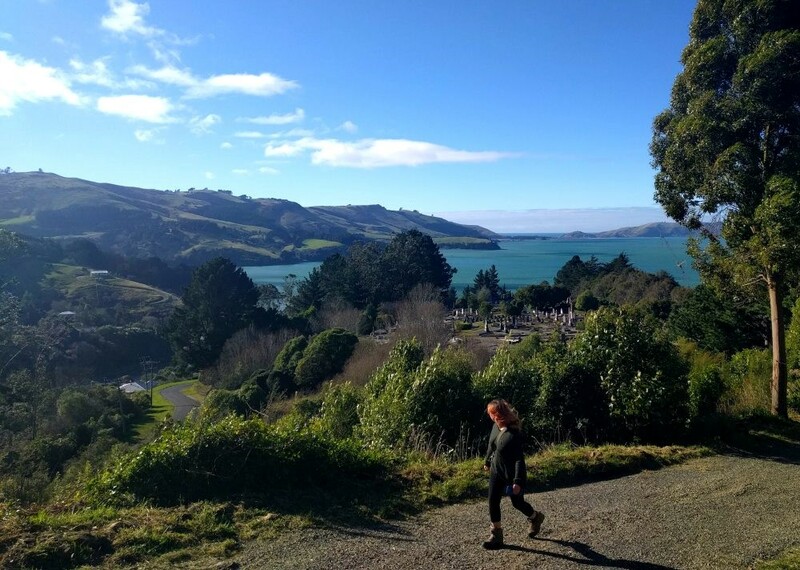 I’d been hankering for a historic wander around Port Chalmers for some time, so it was a serendipitous day that found me joining my fellow attendees of Lisa’s Wellness Journey walking group for just such a wander. We gathered at Careys Bay near the hotel, hiding from the cold blustery wind in the nearby bus shelter. 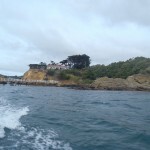 This little bay a smidgeon beyond Dunedin’s traditional port and the neighbourhood which we would shortly climb into were once known as Mansford Town, and the hotel itself – dating back to 1874 – as the Crescent Family Hotel. 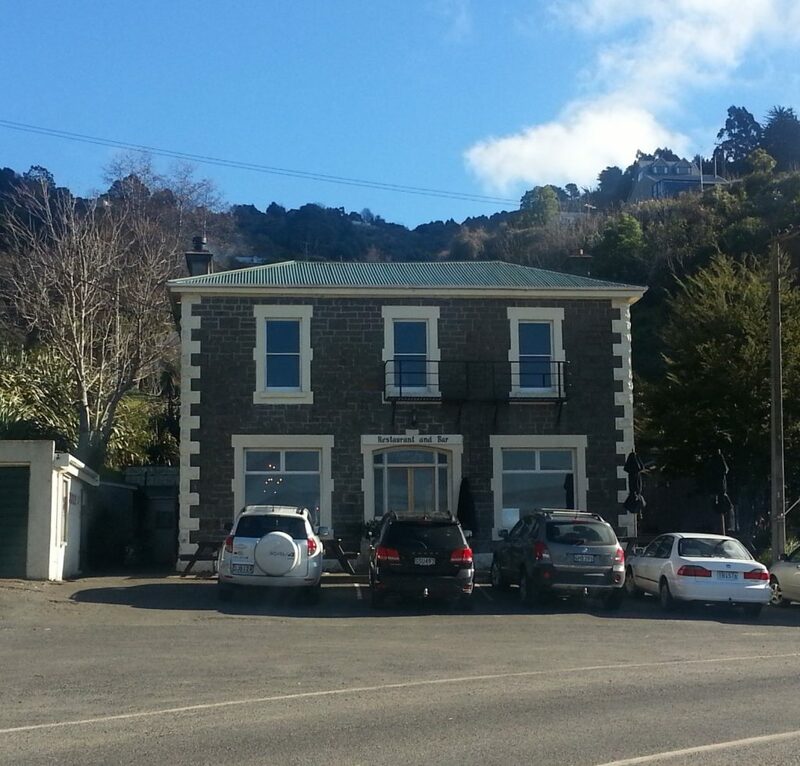 The business has more or less continuously operated since then, narrowly escaping Port Chalmers prohibition in the 1920s by dint of being just slightly outside the legal boundary of the district. Once we had our bearings, we headed up a narrow path into the wilds of Mansford Town. Very shortly we found ourselves entering the Port Chalmers Cemetery, and I meandered slightly, seeking intriguing headstones. 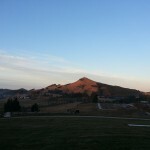 Amongst them is the resting place of Captain Peter Logan, master of the Robert Henderson which brought Craigieburn settlers William and Elizabeth Rankin to New Zealand in 1860. With measles and scarlatina on board, the ship was forced to remain at Deborah Bay with all immigrants aboard until the diseases had cleared up, and the captain was praised for his kindness during the difficult situation. Captain Logan remained in charge of the same ship for four more voyages, and long-time readers may remember the 1870 voyage which again brought scarlatina to our shores, killing little William Dougall of Quarantine Island and four children of the Sutherland family of Goodwood. But the most outstanding monument here was the Mill family mausoleum, the only building of its kind in the cemetery. 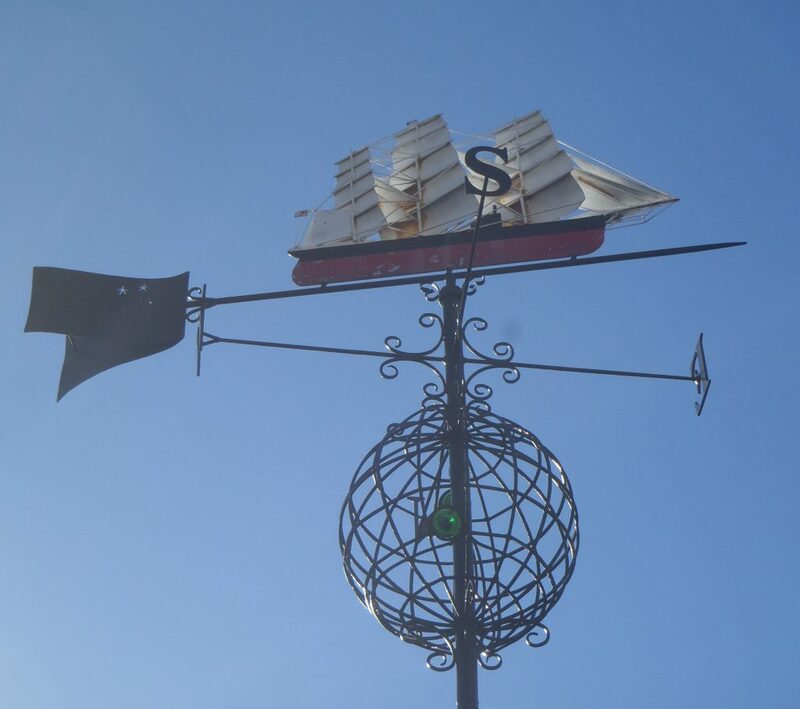 John Mill arrived from Scotland on the Sarah Anne in 1862, starting off as a pilot before purchasing a stevedoring business which he developed into one of the largest in our young country. 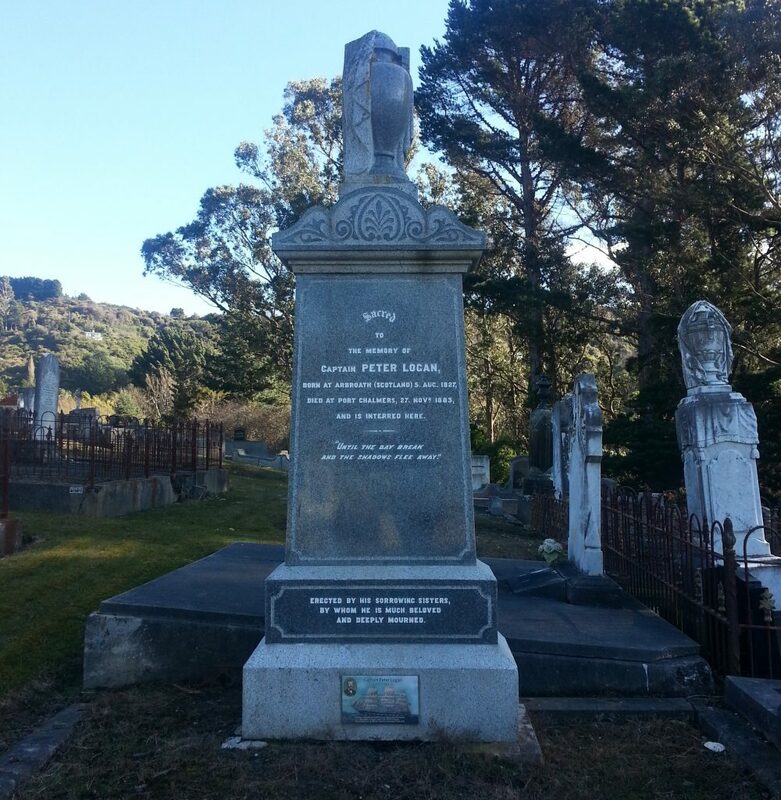 He married Mary Wilson a year after his arrival, served as mayor of Port Chalmers and begat seven children, all now entombed alongside their parents. 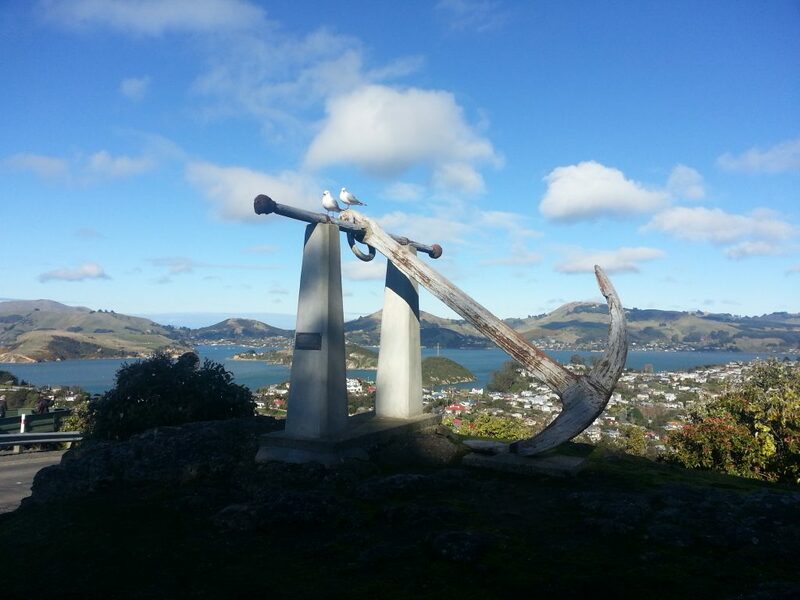 We skirted the military section of the cemetery and continued up the hill, glancing back down over the brilliant blue harbour and its enclosing emerald hills. 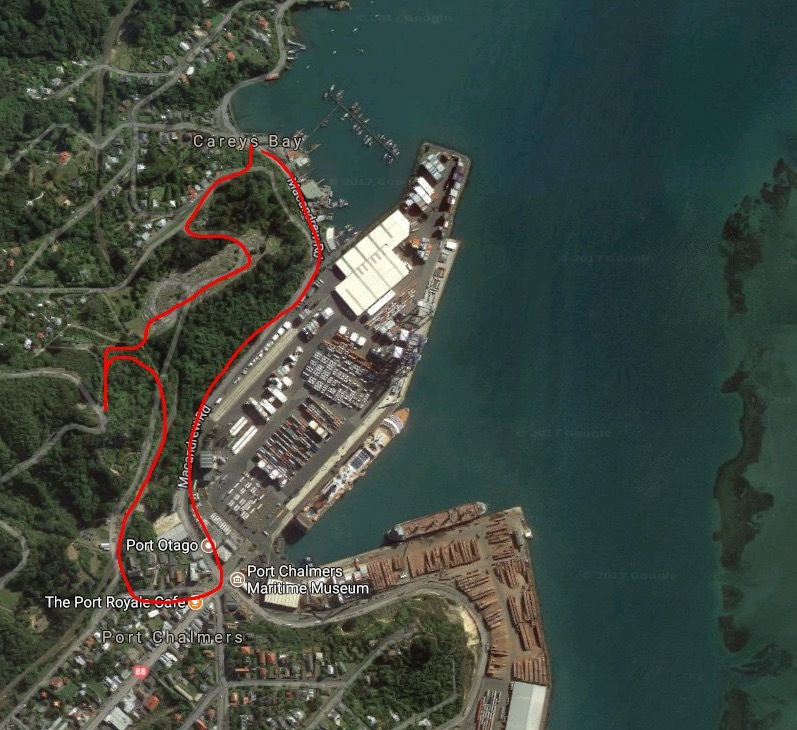 A short distance through the bushes brought us to the corner of Blueskin Bay Rd, with its lookout toward the mouth of the harbour and dual monuments. First of all my attention was drawn to a huge iron anchor mounted in the grassy clearing across the road, serving as an ideal perch for two seagulls against the background of Quarantine Island and Otago Peninsula beyond. Known as the “Nineteen Fathom Foul”, the origin of this anchor is surrounded by mystery. 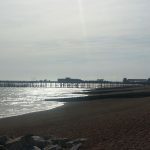 Nobody knows exactly how it came to be on the bottom of the harbour, but all agree that it was a bloody nuisance, catching on fishing nets and causing at least one drowning when a boat capsised due to snagging its trawl on the submerged obstacle. Eventually the locals had had enough, dragging it ashore in 1978 and mounting it here, presumably as a warning to any other object that might think to interfere with our shipping. 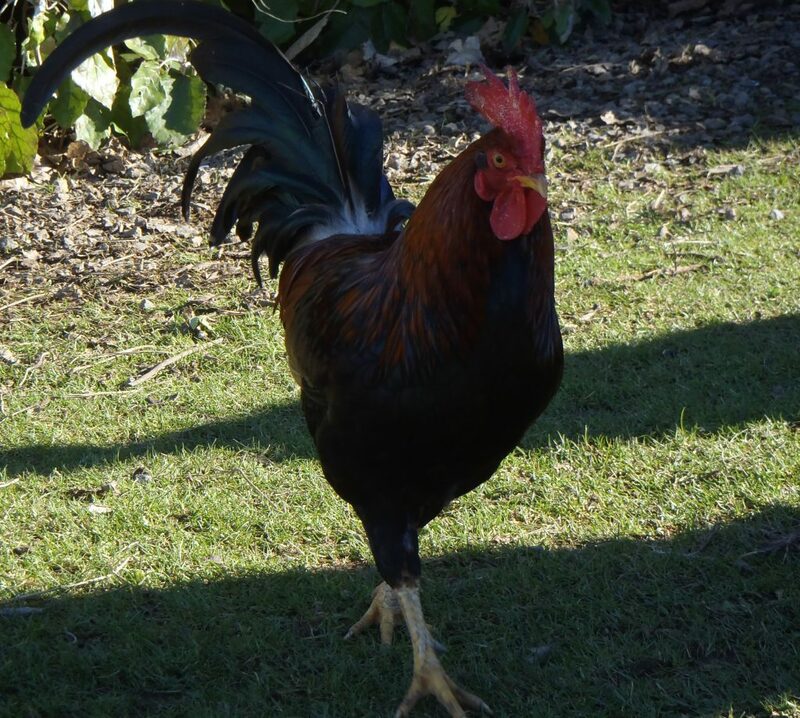 From foul to fowl, we quickly discovered the flock of wild poultry that called this corner home and were soon surrounded by surprisingly un-chickenish chickens checking us out just in case we felt like feeding them. 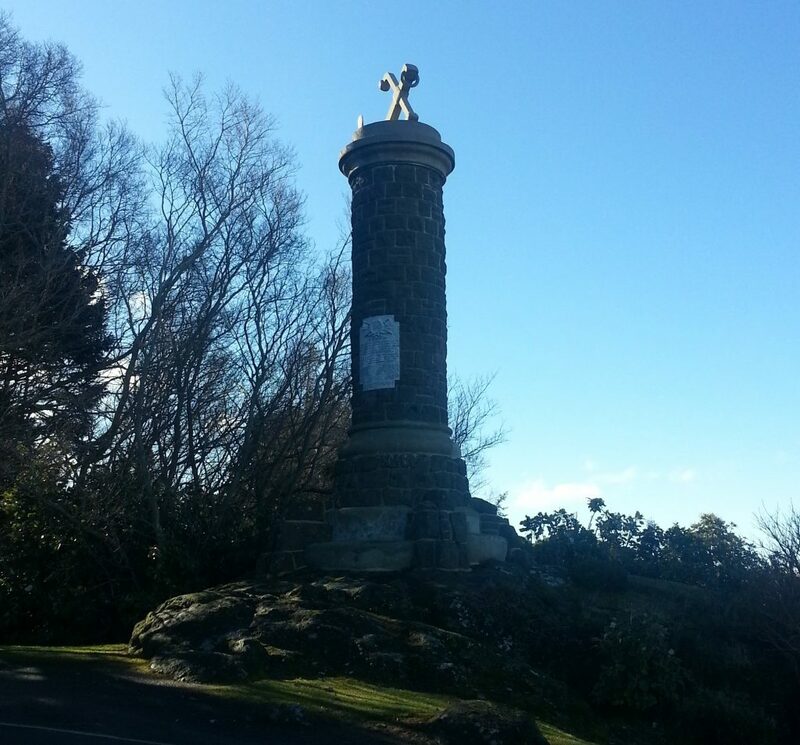 Escaping the avian horde, we turned our attention back across the road to Scotts Memorial, recalling a character whom we have met already: Robert Falcon Scott, who departed from this port for Antarctica in 1910. He reached the South Pole but five weeks too late to be the first, and perished on his return journey. A few weeks ago, we noted the manor at which he and his wife spent their last night together before parting for the final time. What thoughts went through their minds on that ill-fated night? Sadly, our route meant that we missed the Old Cemetery, but only by a little, as we headed back down the hill via a grand view of the port and its massive cargo-moving machinery. I swore that I would be back another day to probe its secrets. 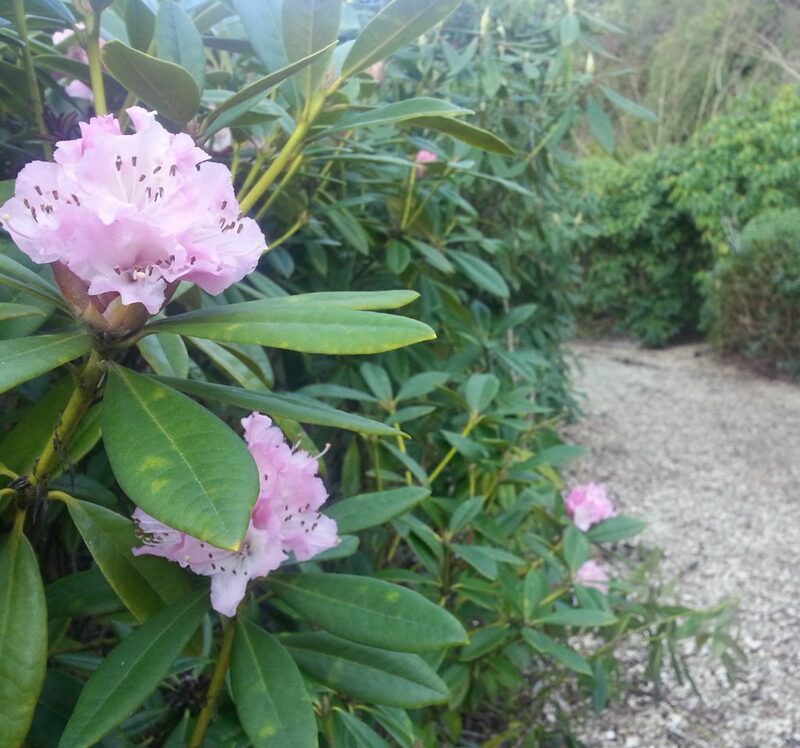 Not to be passed by however, was the Lady Thorn rhododendron dell, which we took a break to investigate thoroughly. Nestled in an old quarry that provided stone for such distinguished structures as the Dunedin Railway Station, Otago Boys High School and the University of Otago clock tower building, it was shaded from the sun at the time of our visit, but even so we were treated to some unexpected splashes of colour heralding the approaching spring. After closure of the quarry in the 1920s the site became a dump and an eyesore, overgrown with weeds. It was not until the 1990s when Constance Lady Thorn was able to develop her vision for this abandoned site. 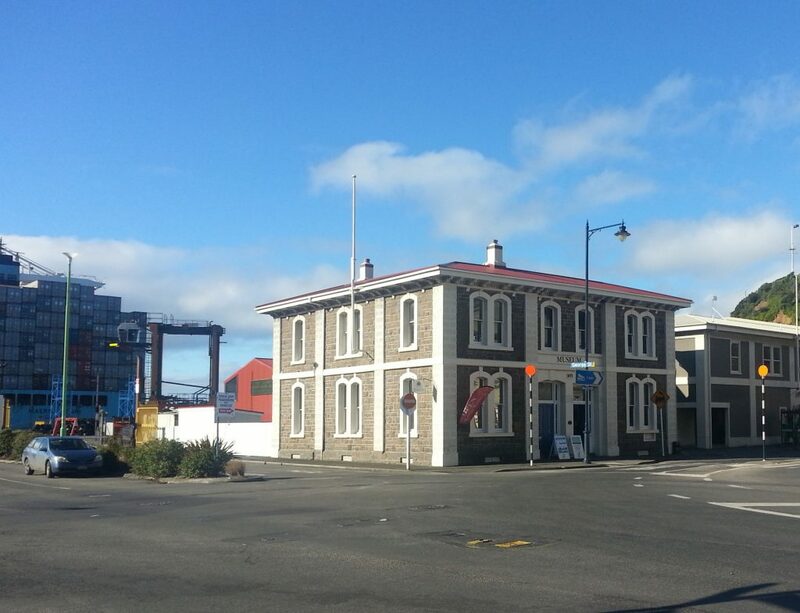 Lady Thorn was the wife of Sir John Thorn, Port Chalmers’ longest-serving mayor, a record unlikely to be broken since the town was absorbed into Dunedin City in 1989. Lady Thorn died in 1997, and since 1999 the garden has been maintained by the Lions Club of Port Chalmers and District. We climbed up to the lookout on the lip of the quarry, to find a wealth of signs featuring old photographs and historic information about the area. Realising that my research had just become easier, I took some sneaky photographs. Then we left the quiet dell and continued down the road, through the grounds of Iona Church. 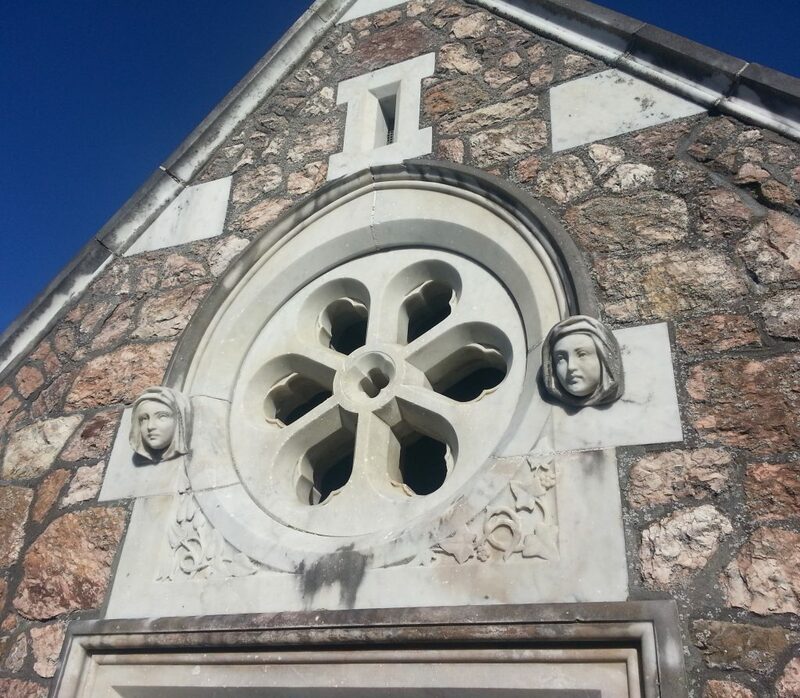 The stone building was opened in 1872, replacing a wooden one that had been the second church in Otago and the third in the South Island. The tower clock was added in about 1885, but we were more impressed by the magnificent monkey puzzle tree nearby. 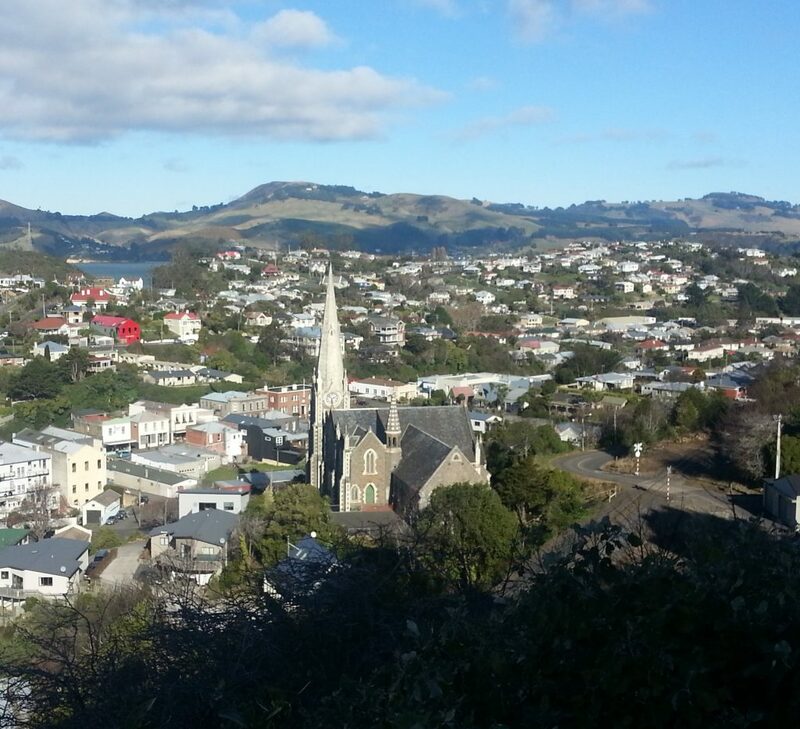 Down we delved into the centre of Port Chalmers, historic buildings on all sides. Opposite was the bright white facade of the triangular Bank of New Zealand building, completed in 1880 by Robert Lawson who designed a great many buildings for this bank as well as First Church, Seacliff Lunatic Asylum, and a far less famous Presbyterian Church we encountered in Maryhill a few weeks ago! 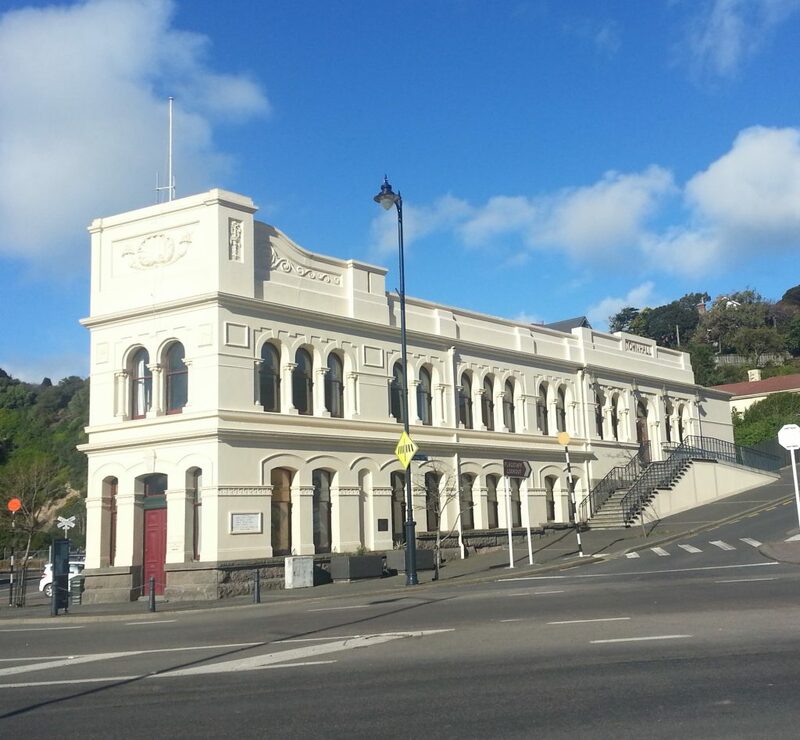 To its left on another corner stands the 1889 town hall building, which originally housed not just the Port Chalmers local government, but also customs, fire, police and the court, factions which all vied for the best office space in the triangular edifice. Passing the port entrance we encountered a much more modern glass building, with a plethora of plaques out front as well as a weather vane modelled after the ship Dunedin, which in 1882 was the first ship to transport frozen meat from our shores and thus revolutionise our export industry. As we headed back toward Careys Bay alongside the port boundary, only one further distraction remained, a large derelict industrial building made from red brick. 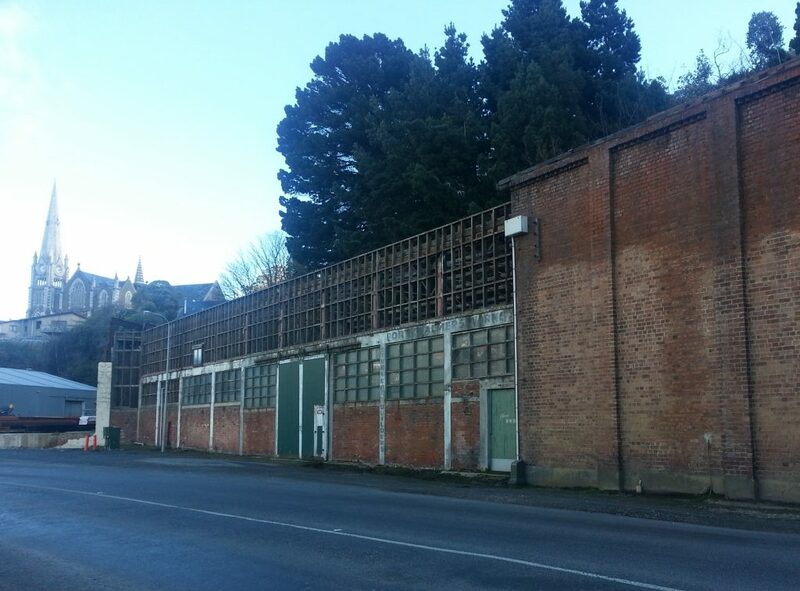 This is the old Stevenson & Cook foundry, whose asbestos-riddled roof was removed earlier this year. The company evolved from a smithy established in the area prior to 1858 which specialised in ship manufacture and repair. Its historical links include building dredges for the gold fields, refitting troopships for World War One, and building minesweepers for World War Two. The building now belongs to the DCC, who must figure out whether to preserve it or tear it down. Lucky we caught it in time to get a photo! After shaking off that final distraction we made our way back to Careys Bay. While farewelling the group I couldn’t help but feel there was still more to be seen in this very historic port town that a brief walk could not reveal. 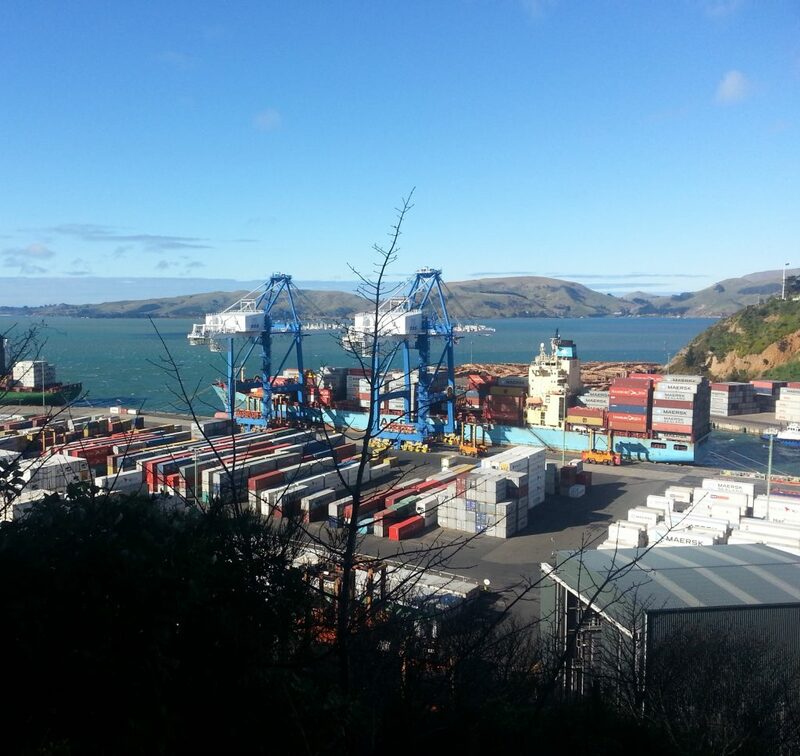 For certain I shall be back another day to further probe the secrets of Port Chalmers. PrevSurat, The Ship that Whiskey WreckedNextTwo Years of Kiwi Adventures! Fantastic article. Look forward to your next historic walk. 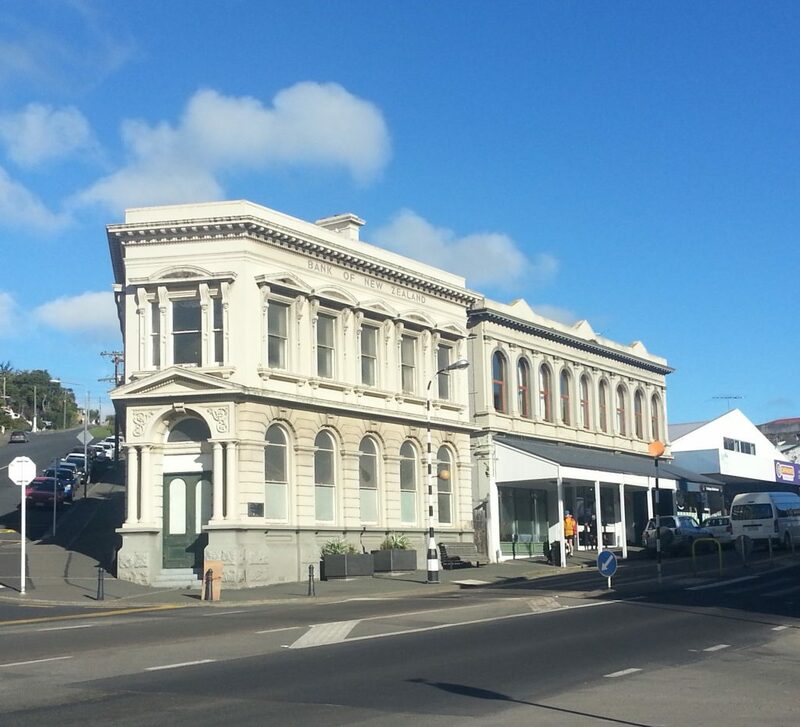 Having been born and brought up on the Peninsula I love reading about your wandering and discoveries and learning the history surrounding these lovely spots around Dunedin.